The recent citizen satisfaction survey gave high ratings to the city of Mankato and Mankato Area Public Schools. Results are in for the city of Mankato and Mankato Area Public Schools' joint community survey and they are excellent. 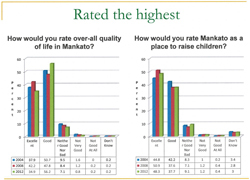 Overall, participants consistently selected "excellent" or "good" in response to the questions, including about 90 percent of this year's sample response when asked, "How would you rate overall quality of life in Mankato?" Drs. Bill Wagner and Steve Vassar working with the applied sociology class staff and students from Minnesota State University, Mankato conducted the survey and presented the results at a recent City Council meeting. Mankato saw gains in how residents rate its street maintenance efforts. Mankato's capital improvement plan shows the city's commitment to large projects, such as Madison Avenue and Carney Street. Citizens indicated a strong sense of personal safety; and public safety services in general received mostly "excellent" or "good" ratings. The survey assessed city of Mankato services, quality of life, the most valued aspects of living in Mankato and suggestions for improvements. The percent of responders who assess city services as "excellent" shows an increasing trend from 1989 to 2012. "These high marks reflect the City Council's stewardship of tax dollars and of the high expectations of city employees' performance," said City Manager Patrick Hentges. Mankato Area Public Schools' quality of education was again given high ratings, an achievement the district has consistently earned. The survey also assessed communication efforts, district learning environments, fiscal responsibility and the tax support level. "Citizen responses speak highly to the education opportunities provided by Mankato Area Public Schools," said Superintendent Sheri Allen. The city of Mankato and Mankato Area Public Schools have traditionally asked people they serve what they think about city and district services – an effort that dates back to 1989. Survey interviews provided input from Mankato residents and from residents of the broader area encompassed by the Mankato Area Public Schools. Read the 2012 survey online. For more information contact public information staff for the city of Mankato and Mankato Area Public Schools at 507-387-8516. As the picture shows, it's important to not add water to grease fires because instead of putting out the fire, it makes the fire worse. The Mankato Department of Public Safety and Minnesota State University, Mankato (MSU) recently teamed up to bring a “Kitchen Fire Education Trailer” to MSU's campus to educate students and the general public about how to prevent and respond to kitchen fires. See the KEYC-TV broadcast featuring the demonstration. About 600 people attended the kitchen fire safety demonstrations, which are designed to reduce the frequency and severity of cooking fires, a leading cause of fire. Keep lids for pots and pans readily available when cooking in case a fire should occur. Never use water to extinguish a grease fire because it makes the fire worse. Teach children how to cook properly and the importance of following directions. Organize kitchen cooking area with fire safety in mind. For more information contact public safety staff at 507-387-8577. Mankato's water – clearly the best choice. Mankato's water is clearly the best choice. Water plays an important role in people’s daily lives. Learn more about Drinking Water Week and see a variety of activities planned to celebrate water. Mankato’s water is tested daily and meets and exceeds state and federal standards for high quality water. Mankato’s water supply is approved by the state of Minnesota and the U.S. Environmental Protection Agency. Capacity has increased from 7.5 million to 12 million gallons of water treated per day, and the water treatment plant has the ability to expand to treat 15 million gallons of water daily. Mankato has more than 229 miles of water main lines. 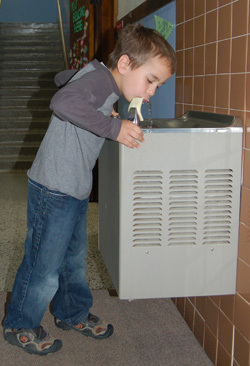 On average, more than 1.7 billion gallons of drinking water are produced for 13,487 service connections each year. Nine water storage facilities hold 11.45 million gallons of drinking water. The 65-foot wells located in the Land of Memories park along the Minnesota River can produce up to 5,200 gallons of water per minute. More than 2,000 tons of lime is used at the water treatment plant in the softening process and is reused on agricultural land to help improve the soils – a sustainable effort that benefits the environment. Learn more about Mankato’s water. For more information contact public works staff at 507-387-8661 (24-hour service). 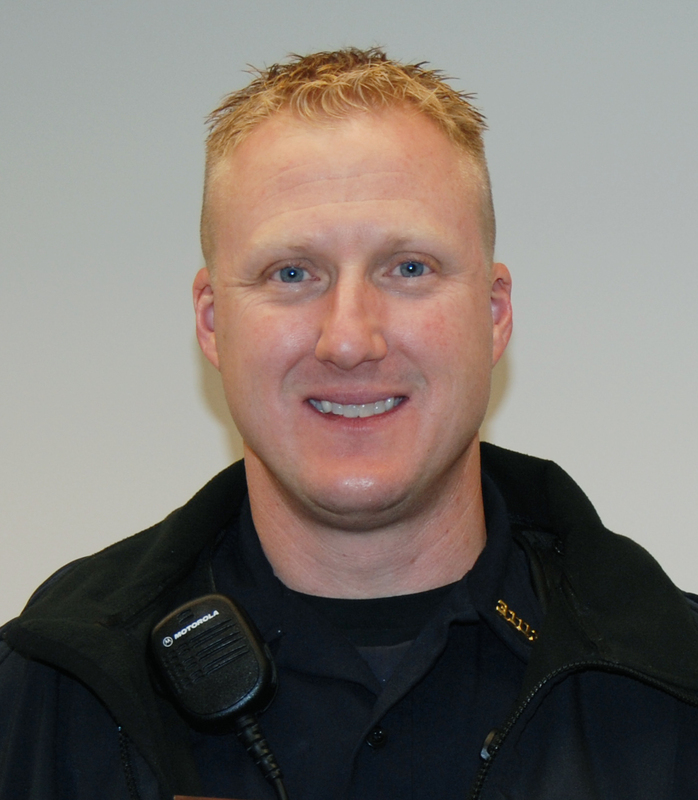 Police officer Keith Mortensen was recently recognized by the Committee Against Domestic Abuse (CADA) with the Distinguished Peace Officer award for his work with CADA. He received the award for his compassion with victims of sexual and domestic assault. Mortensen has 16 years of service with the city of Mankato. Mayor Eric Anderson and Tammy Mason. Mankato Mayor Eric Anderson presents Tammy Mason with an outstanding citizen award. Deputy Director Jeff Bengtson also congratulated Mason on her efforts. 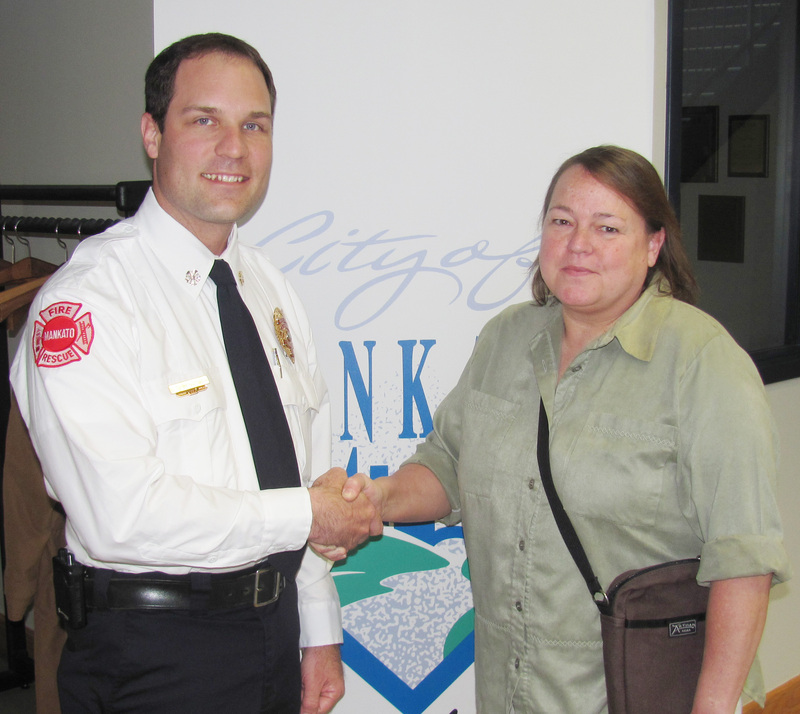 She was recognized for her life-saving actions during a recent hotel fire. The award is presented to those who go beyond the call of an ordinary citizen. Mark your calendars for 9 a.m., Saturday, June 2 and attend the grand opening of the community athletic fields co-located at Rosa Parks Elementary School, 1001 Heron Drive, Mankato. The event will be held rain or shine. For more information contact public information staff at 507-387-8516. Save the date for the Orness Plaza dedication beginning at 11 a.m., Friday, June 15 at 900 Hope Street. Tours will be provided. Orness Plaza has recently been remodeled for the future. The building is energy efficient, environmentally friendly and Leadership in Energy and Environmental Design (LEED) certified. For more information contact public information staff at 507-387-8692. Marty Hofmann shears the alpaca with help from Eric House. 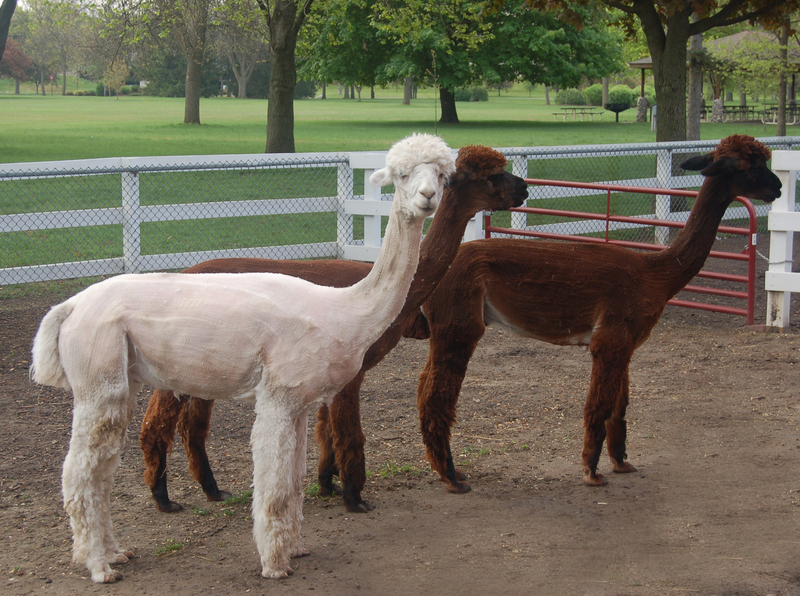 The alpacas at Sibley Farm in Sibley Park, 900 Mound Avenue, recently had their annual haircut. The haircuts help keep the animals cool in the summer. See a before and after photo of the alpacas. About five to 10 pounds of fleece is usually sheared from the alpaca. The fleece, which is softer than wool, light and hypo-allergenic is recycled into yarn for knitting, crocheting and weaving clothing, such as socks; or felt for hats and moccasins. 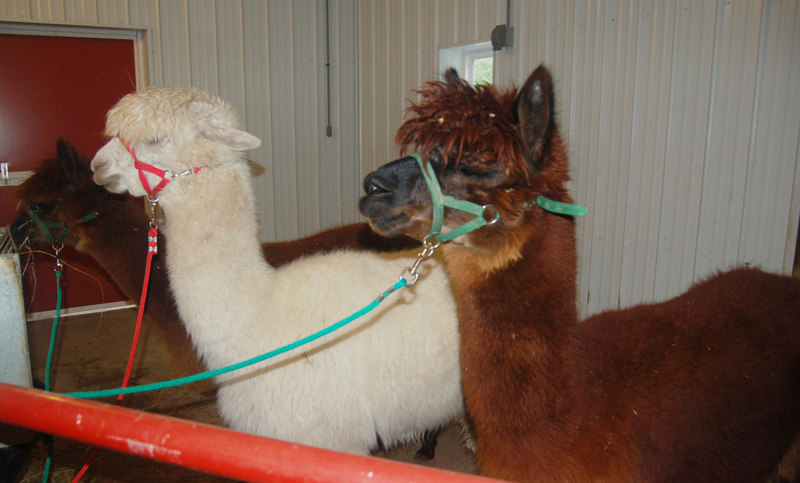 Sibley Farm is home to alpacas, calves, goats and horses. Koi fish are in the pond just outside the barns, and a playground is located nearby. Expected to arrive soon are pigs, chicks and ducklings. Sibley Farm gives children an opportunity to experience a farm setting and interact with these animals through a variety of displays and activities. The farm was funded by the Mankato Area Foundation through a $200,000 donation from the late Al and Erla Fallenstein. 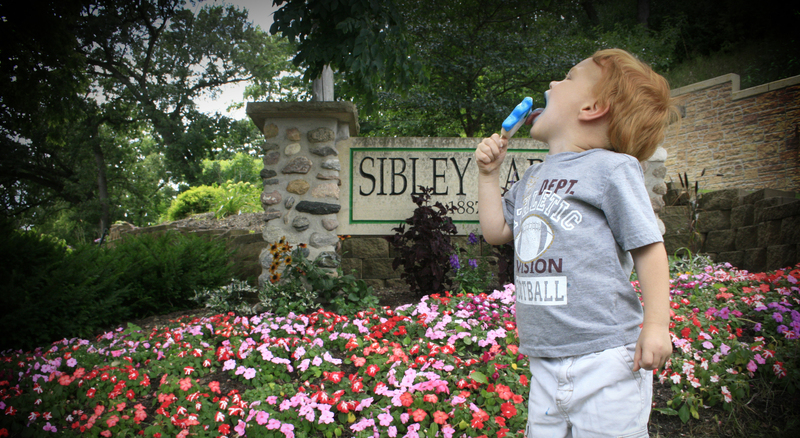 For more information about Sibley Farm and other Mankato parks contact staff at 311 or 507-387-8600. 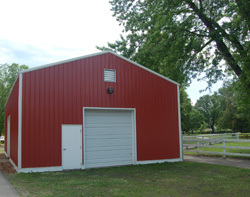 New to reserve this year is the red barn shelter in Sibley Park. The shelter sits on a concrete slab and has single-stall garage doors on all four sides. Other amenities include electricity, up to eight picnic tables and a brick courtyard. Customers can bring a grill to cook in the courtyard area. While at the shelter, make sure to visit Sibley Farm. The red barn shelter may be reserved from 6:30 a.m. to 10:30 p.m., daily. See rates. See other Mankato park offerings available to reserve. For information or to make a reservation, contact staff at 311 or 507-387-8600. Now's a great time to be outdoors. Enjoy outside activities while keeping safety tips in mind. Photo by Kendra-Bidwell-Mohlenbrock. Preparation is key to staying safe during severe weather. Citizens are encouraged to prepare their homes, families, neighborhoods and communities. An informed, involved community is more resilient to disaster. Being prepared also helps reduce the risks and costs of hazardous weather events. An item Kunkel recommends is a weather radio approved by the National Oceanic and Atmospheric Administration because it can provide warning to take cover. Learn more about severe weather awareness. For more information, contact public safety staff at 507-387-8792. As the days get warmer, more people are spending time outdoors grilling or sitting around a recreational fire. After these activities are done, it’s important to make sure that the grill or recreational fire is completely extinguished. To do this, soak any remains (charcoal or wood) in water in a metal can and allow at least 24 hours to cool before discarding them. Learn more about outdoor fire safety. For more information, contact public safety staff at 507-387-8577. Since now is a great time to ride bikes for fun or as a means of getting somewhere, more cyclists are sharing the road with drivers. Because cyclists have a stronger chance of being injured than people driving, it’s essential that they make themselves seen by wearing a safety vest or reflective coat, using reflectors and lights at night and wearing a helmet. Another option for cyclists is using Mankato’s trails as a safe alternative to roadways. Just as cyclists need to stay safe, drivers must also be on the lookout for cyclists because each plays a role in the other’s safety. Learn the road rules for cyclists and drivers and also get bicycle safety tips. For more information about bike safety, contact Mankato public safety staff at 507-387-8735. To learn more about Mankato’s trails, contact staff at 311 or 507-387-8600. Download a trail guide. Spring on Glenwood by Julie Thorleifson, Mankato. Maintaining the quality and appearance of our homes, property and neighborhoods is important because it enhances community livability and keeps property values high. To keep Mankato looking its best, citizen help is needed. When yards, boulevards and alleys are not maintained it becomes a nuisance for everyone. City ordinances exist to protect and ensure Mankato’s quality of life. Did you know that noxious weeds and grass taller than 12 inches are considered a nuisance? Keeping lawns mowed not only adds to neighborhood appearance, it also can save property owners unwanted fees. Property owners are responsible for controlling weeds on their property and any abutting boulevard or alley. Properties that are posted because of tall weeds and grass will be charged a $60 administrative fee. If the city of Mankato has a contractor mow the property, an additional $60 fee is charged along with the mowing cost. See the city code and this year's annual weed notice. It’s a great time to be outside with your dog in the park. The city of Mankato has six parks that feature special areas just for dogs: Erlandson, Highland, Lions, F.A. Buscher, Land of Memories and the Kiwanis Recreation Area. Dogs are also welcome at Willard Parkway, Premier Pond, Rasmussen Woods and the Minnesota River and Red Jacket trails. Clean boulevards and yards enhance a neighborhood's visual appeal. When it’s time for garbage and recycling pick-up, keep streets neat by placing city garbage and recycling bins curbside for pick-up. Prevent garbage from spilling by tightly shutting container lids and making sure recyclable materials stay in recycling bins or paper bags. Once garbage and recycling has been picked up, store containers in the garage or out of view from the street and neighbor’s property by noon the next day. See the city code. Help keep streets uncluttered by following parking guidelines designed to make streets safer for everyone. Vehicles may be parked on city streets for 24 hours. If a vehicle is inoperable or not licensed, it should be stored. Recreational vehicles may be stored on city streets for up to 12 hours. An option is to store RVs off-site or park them in the driveway. View the city code. See something that doesn’t align with city code or could use some attention? Text 507-420-4187. For more information about city ordinances, contact staff at 311 or 507-387-8600. The city of Mankato, the City Council and City Manager Patrick Hentges are on Facebook. Become a Facebook fan and connect with local government and officials. Follow the city of Mankato on Twitter. For more information, contact public information staff at 507-387-8692. Complete an entry form and enter the contest today. 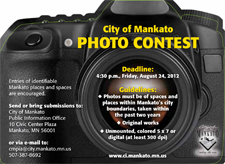 Enter Mankato’s 2013 photo contest by submitting your favorite pictures of Mankato’s spaces and places. Everyone is welcome to participate. See contest guidelines and complete an entry form. Mankato’s 2012 city calendar is available online or at the Intergovernmental Center, 10 Civic Center Plaza. Thank you to the Mankato Clinic and CHS for partnering to sponsor the 2012 calendar. Without this sponsorship, printing of the calendar could not continue. For more information about the contest or to receive a city calendar, contact staff at 311 or 507-387-8600. Mankato's city bus – your destination on time. Call 507-625-RIDE (7433). Get to your destination on time – ride the bus. Mankato’s city buses are convenient, reliable and affordable transportation. 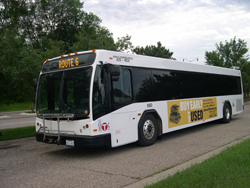 Learn more about Mankato’s buses and see routes online, or call 507-625-RIDE (7433). For more information, or to advertise on a city bus, contact public works staff at 507-387-8655. Learn about buying a home at Home Stretch workshops. homeownership – is it right for you? The course fee is $20, payable to the city of Mankato the first night of class. Participants receive a certificate upon completion. Preregistration is requested because of limited space. For more information, contact housing staff at 507-387-8631. 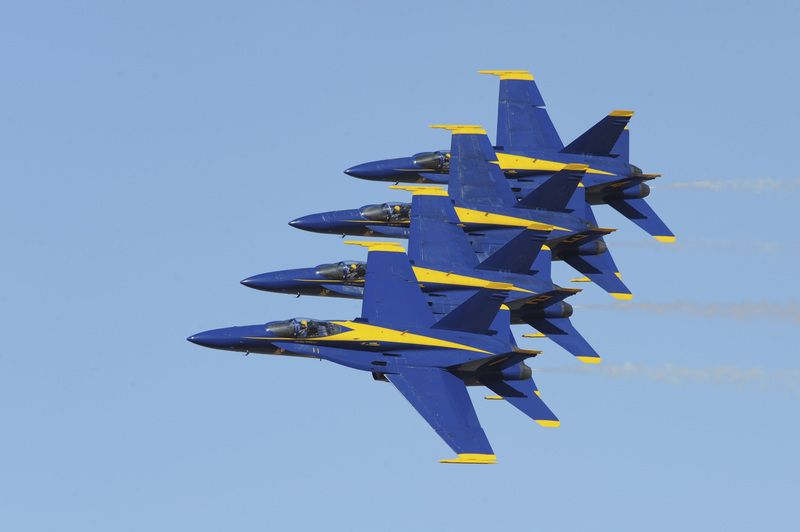 Be a part of the 2012 Minnesota Air Spectacular with featured performers, the Blue Angels, by serving as a volunteer. Volunteer applications are being accepted for the 2012 Minnesota Air Spectacular, featuring the Blue Angels. The event is Saturday, June 9 and Sunday, June 10 at the Mankato Regional Airport, 3030 Airport Road. Volunteers must be at least 16 years old and available for a minimum of six hours. They may volunteer as part of group, or individually. Group and individual applications are available online. A t-shirt and lunch will be provided. In addition, $15 per person per day will be given to a volunteer's non-profit organization. Watch a video to learn more about volunteering. For more information, or to volunteer, contact staff at 507-387-8453. Adopt a city park or trail, or help water Mankato's hanging flower baskets. Citizens who volunteer help strengthen and enhance neighborhoods, build a sense of ownership and positively impact community pride. Help care for the city of Mankato's neighborhood parks, open spaces and trails by providing general care and maintenance. Tasks include: picking up litter, raking leaves, reporting park issues, sweeping courts and pathways and pulling weeds. Equipment will be provided. A one-year minimum committment of at least one volunteer clean-up or maintenance effort per month is requested. Mankato's hanging flower baskets in downtown Mankato need watering on a daily basis. Watering is generally done between 7 a.m. and 11 a.m., seven days a week through fall. Training and equipment will be provided. The University of Minnesota needs volunteers to assist with inventorying trees in the city of Mankato. By conducting a tree inventory, staff can develop a proactive management plan to help minimize tree losses and when replanting to be thoughtful about being diverse and resilient by using tree species for the respective soil type. No experience is necessary. Training will be held once trees have leaves. For more information or to apply to volunteer, contact staff at 507-387-8621. Applications are also available at the Intergovernmental Center, 10 Civic Center Plaza. What’s “your take” about making Hiniker Pond a better place? Discussions are underway about how to enhance Hiniker Pond because of behavior issues and a number of ordinance violations, such as people in the park after hours, dogs in the park and glass containers. As a result, Hiniker Pond is perceived as a park that is not family friendly. Recommendations include updating existing signage in order to make park regulations more visible to park users and to enhance the aesthetics of the park by adding sand infill and raking of the beach, amending rules to allow alcohol by permit only and to make the park tobacco free, and adding a part-time community service officer for oversight and enforcement purposes. Recommendations will be considered by the City Council on Monday, May 7. What is “your take” on how to make Hiniker Pond a better place? Mankato's wastewater treatment plant by Paul Yenter, St. Peter. 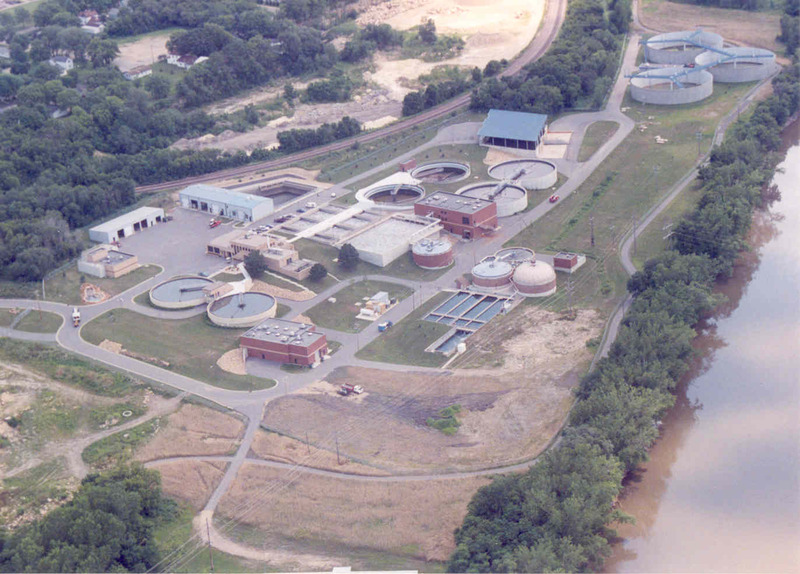 The Minnesota Pollution Control Agency recognized Mankato's wastewater treatment system as outstanding for their operation, maintenance and compliance. In addition to protecting and preserving water quality, the type of work Mankato has done enables Minnesota to achieve a significant reduction of pollution coming from point sources. Mankato has earned 14 certificates of commendation for their efforts to help protect and preserve the waters of Minnesota. "It's an honor for the city of Mankato to be recognized with this award," said City Manager Patrick Hentges. "We want to preserve resources and produce the best quality effluent efficiently." Mankato is a state leader in meeting wastewater quality standards. Mankato's water reclamation facility provides advanced wastewater treatment. The city's partnership with Mankato Energy Center to use recycled wastewater protects our ground water resource. Citizens are realizing a savings of at least $10 million for this first of its kind agreement in Minnesota. The effort results in an extremely low phosphorous discharge into the Minnesota River. To conserve, park and green space irrigation is also done with reclaimed water. The city provides wastewater services to Mankato, North Mankato, Eagle Lake, Madison Lake, South Bend Township, Skyline and the Lake Washington Sanitation District. In addition, through the wastewater treatment plants biosolids operation, the city of Mankato was designated the 1st city in Minnesota and 28th in the nation to receive national biosolids partnership certification. The Madison Avenue rehabilitation project is expected to be complete in August. The first phase of the Madison Avenue rehabilitation project is underway. During the first month of construction, the pavement from North Seventh Street to Victory Drive is being recycled into the base of the road, then the roadway will be graded and paved. At the same time, the pavement on the eastbound lane of Madison Avenue (from Victory Drive to Star Street) is being removed with the majority of the base coming from the excess recycled material west of Victory Drive. Re-using material reduces the amount of raw materials needed for the project and is cost-effective. See the contractor's schedule and more information about phase one A and one B. The full project is expected to be finished by the end of August. “We’ve focused a lot of energy on Victory Drive and now it’s time to shift gears to Madison Avenue, a major regional corridor that provides access to Mankato’s hilltop area,” said Jeff Johnson, city engineer. Johnson added that local businesses and residents are invited to take part in project meetings beginning 9 a.m., Thursday, May 3 in the lower level conference room at the public works center, 501 South Victory Drive. Depending on participation, the time, date and location may change to best accomodate people's schedules. Businesses in the area may purchase signage. The city of Mankato has proposed locations in the area to place signs and will provide posts. For more information about signage contact the associate civil engineer at 507-387-8637. For more information about the Madison Avenue rehabilitation project contact engineering staff at 507-387-8634. 311 Mankato – how can we help? Call 311 or 507-387-8600 for answers to city service questions. Have a Mankato city service question? Phone 311 Mankato – a call center designed to help answer resident’s questions – at 311 or 507-387-8600. 311 Mankato customer service staff can assist from 8 a.m. to 4:30 p.m., Monday through Friday. A major benefit of 311 is that it serves non-emergency calls that used to go to 911, helping to keep the line open for emergency calls. Currently, 311 is available to Mankato residents who are customers of HickoryTech, Verizon and Sprint customers. City staff are looking to expand 311 with other carrier providers. Spring Clean-up is Saturdays in May: 5, 12, 19 and 26. Mankato’s Spring Clean-up, a value-added benefit of Mankato’s garbage and recycling service, is an opportunity to dispose of unwanted items. Spring Clean-up is held from 7 a.m. to noon, Saturdays in May: 5, 12, 19 and 26 at 221 Lamm Street. 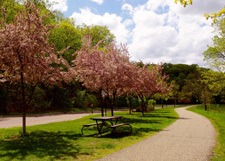 Learn more about what's accepted and what's not accepted at Spring Clean-up. Appliance pick up is available at $14 per appliance. To schedule an appliance pick-up contact staff at 311 or 507-387-8600. No cost: hard disk data destruction, batteries, cardboard, metal, sorted paper, sorted magazines and newspapers; plastics sorted by number; and glass sorted by color. Customers must bring in a city of Mankato utility bill and a picture identification card to use this service. For more information about Spring Clean-up contact staff at 311 or 507-387-8600. For more information about additional recycling options contact public works staff at 507-387-8665. Seventy people applied to serve on Mankato’s Community Emergency Response Team (CERT) and took part in hands-on training to help them prepare for emergency situations. Training wraps up early May. The last step to becoming a CERT member is passing a final exam and practical exercise. CERT volunteers provide critical assistance needed in the case of a disaster such as a flood or tornado and assist during large city events. CERT members are important in emergency situations because they are trained to assist others in their neighborhood and workplace when professional responders are not immediately available to help. For more information about CERT, contact public safety staff at 507-387-8792. Hubbard House garden by Julie Thorleifson, Mankato. The Mankato Heritage Preservation Commission will present “Discovering America’s hidden gems,” a series being held in recognition of National Preservation Month. Events are no cost and are open to the public. Learn more about the events. 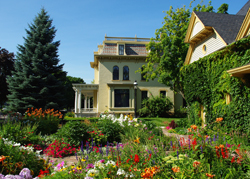 The Mankato Heritage Preservation Commission, established in 2009, makes recommendations to the Mankato City Council about promoting and preserving Mankato’s historic neighborhoods, including designations of significant buildings and places locally significant to Mankato’s heritage. For more information contact city staff at 507-387-8611, or see meeting information online. Water main flushing is through Friday, May 4. The city of Mankato will flush water mains through Friday, May 4. Flushing hours are scheduled from 8:30 p.m. to 5 a.m. daily to ensure convenience for residents. See an online flushing map. Water mains are routinely flushed to clean the distribution system. Avoid or limit water usage during flushing operations, because although the water is safe to drink, it may stain. It is best to allow at least an hour after daily flushing operations for the water to clear. For more information contact public works staff at 507-387-8661 (24-hour service) or 507-387-8663. 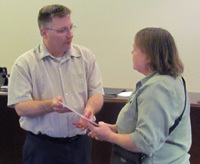 When it comes to volunteering Mike Lagerquist is often ready to step up to the role. 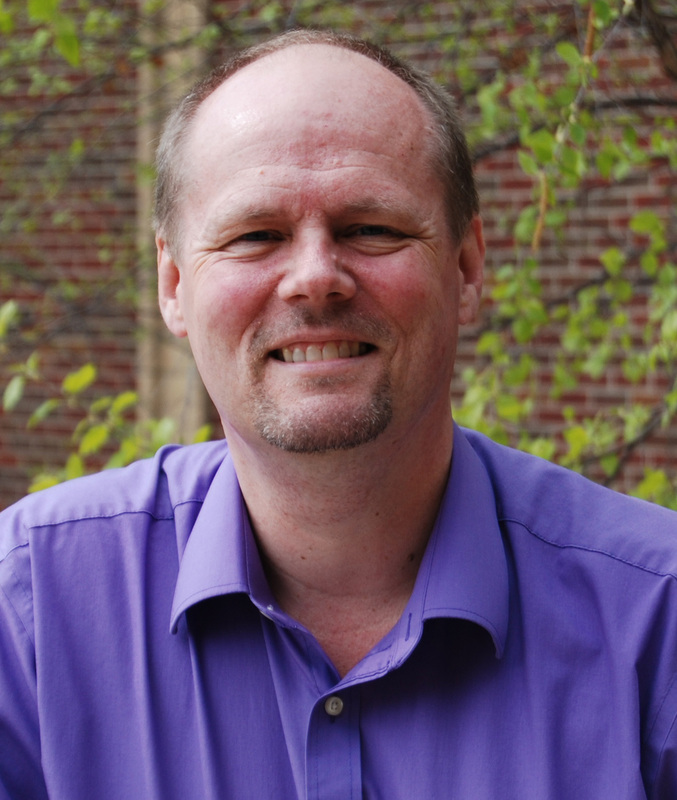 Lagerquist serves a variety of civic organizations including the city of Mankato. Currently, Lagerquist is the chair of the Appointments Committee. He has also served on the Cultural Arts and Community Task Force through Envision 2020 and the Civic Center Advisory Committee. Lagerquist said he sees volunteering as an opportunity because everyone has individual skills they can bring to the table. For more information about volunteering for the city of Mankato contact staff at 507-387-8621. Splash into summer at Tourtellotte Pool. Tourtellotte Pool is scheduled to open Saturday, May 26 (weather permitting). Tourtellotte offers a wading pool and an Olympic-sized pool with a dive well. The city of Mankato and the Mankato Family YMCA have again partnered on pool operations, which helps reduce costs and increases efficiencies in service. For more information about the pool, contact pool staff at 507-387-7946 or the YMCA at 507-387-8255. Street sweeping helps keep storm drains clear of debris. Street sweeping helps keep the city’s storm drains clear because it minimizes the amount of materials that end up in the city’s storm sewer system. In addition, it positively impacts how the city looks while creating a healthy and safe environment for citizens. 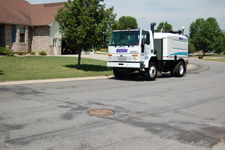 Learn more about Mankato’s street sweeping effort. For more information contact public works staff at 507-387-8651. For more information, contact staff at 311 or 507-387-8600. 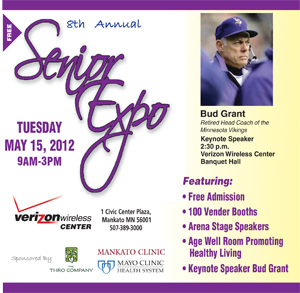 Save the date for Mankato's eighth annual Senior Expo, featuring keynote speaker Bud Grant, former Minnesota Vikings head coach. Sign up for Verizon Wireless Center EventMail to get information about upcoming events. The Verizon Wireless Center is a Mankato destination. More than 250,000 people attend events in a year. Arena events generate an additional 20,000, and meetings draw another 50,000 people. The recent Elton John concert is an example of an event that drew visitors from all over the region. In an effort to enhance tourism and events in the area, the Greater Mankato Convention & Visitors Bureau is conducting a branding survey to enhance tourism marketing. Take the survey.